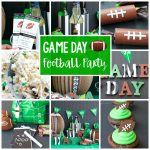 A Peek at the Fun: While you wait for the turkey to cook, it’s fun to have some fun Thanksgiving family games to play to keep everyone happily entertained and having a good time! 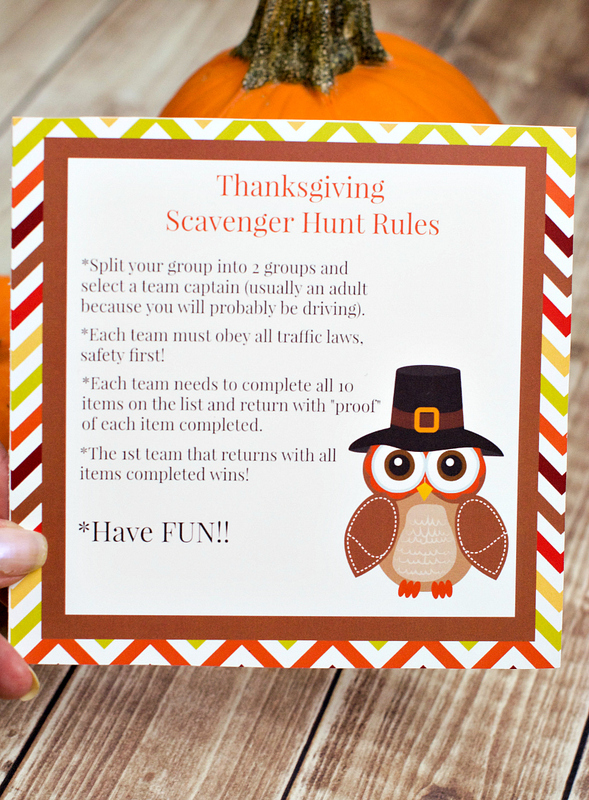 Try this fun Thanksgiving scavenger hunt-great for everyone from kids to adults. Thanksgiving Day is such a fun day! We love having our family gathered together, cooking, and being able to visit. But have you ever needed something to fill the time between the turkey going in the oven and it coming out? Or an after dinner activity? Some kind of fun Thanksgiving family games that everyone will enjoy? 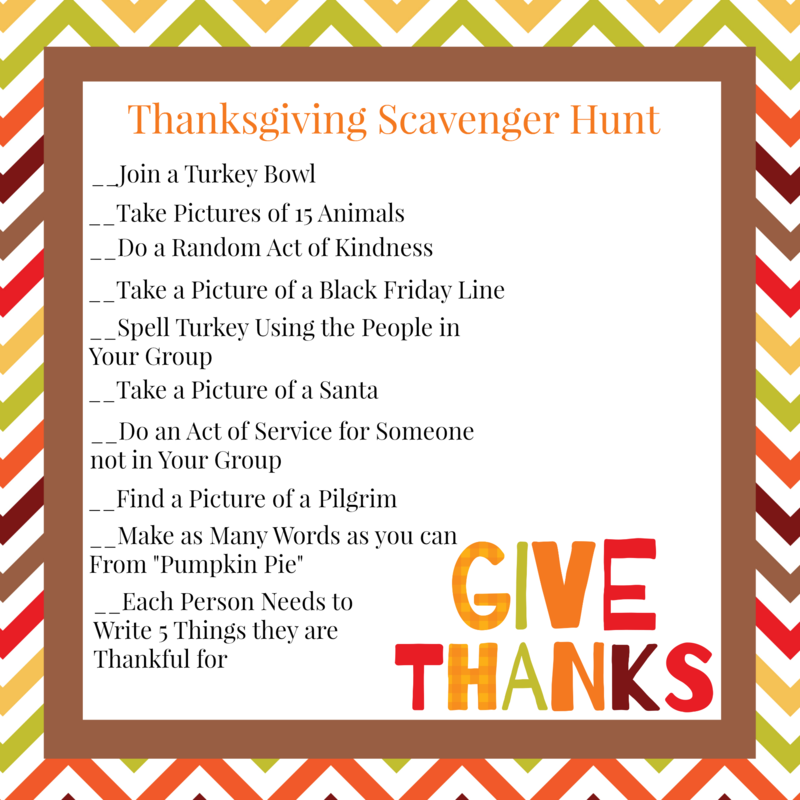 We have just the thing for you…a fun Thanksgiving Scavenger Hunt. Danetta has done this several years with her family and it’s a huge hit! 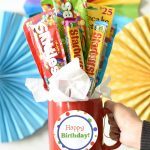 Her kiddos look forward to the scavenger hunt every year. In Danetta’s family, they send the hubbies out with the kiddos to do the scavenger hunt while the ladies finish up dinner (We know, super cliche to have the women home cooking, but for this event it works like a dream!) 🙂 Everyone comes home so excited about their adventures, and the mood of the day is perfection! 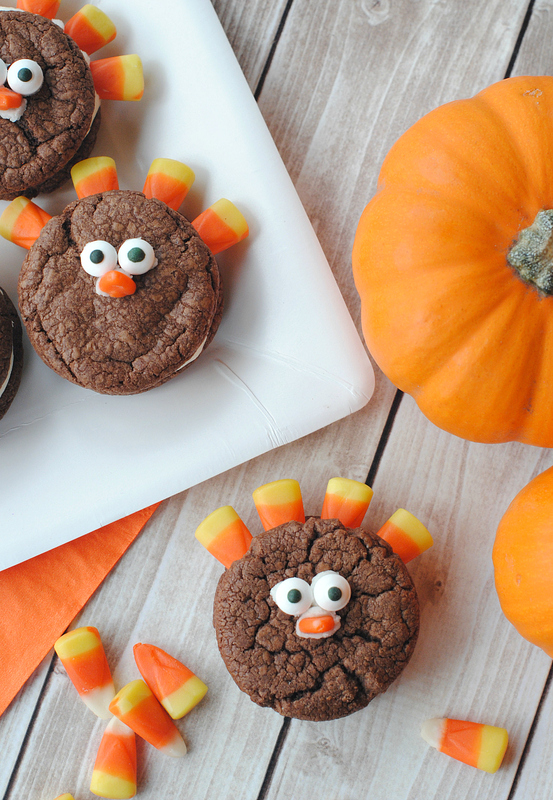 This is such a fun way to spend the afternoon…the whole family will love it! 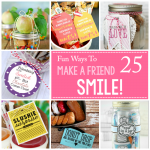 It’s fun to include some acts of service in my scavenger hunts-those are usually everyone’s favorites. We’ve had some great experiences as a family with the service opportunities. Gotta love how the kiddos work together to figure out a plan to win the scavenger hunt. They get so excited to be part of a team and love to be involved. 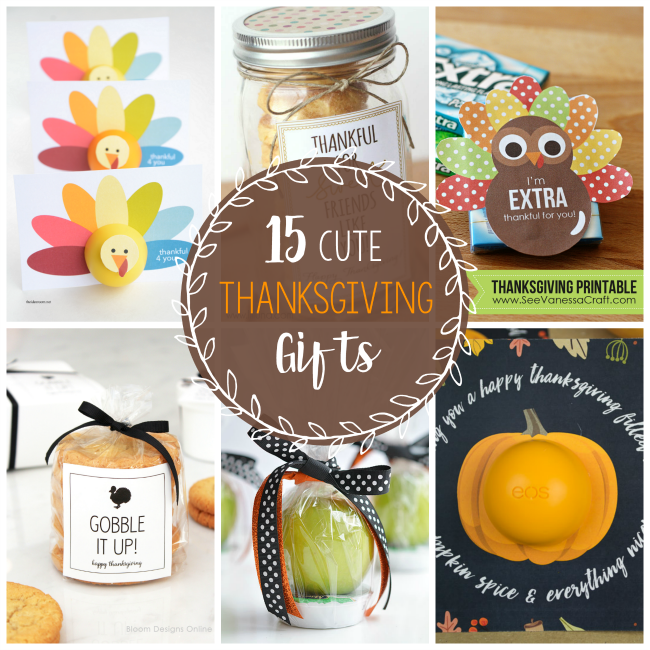 If you’re ready to try these fun Thanksgiving games out, here are the details of how to play! 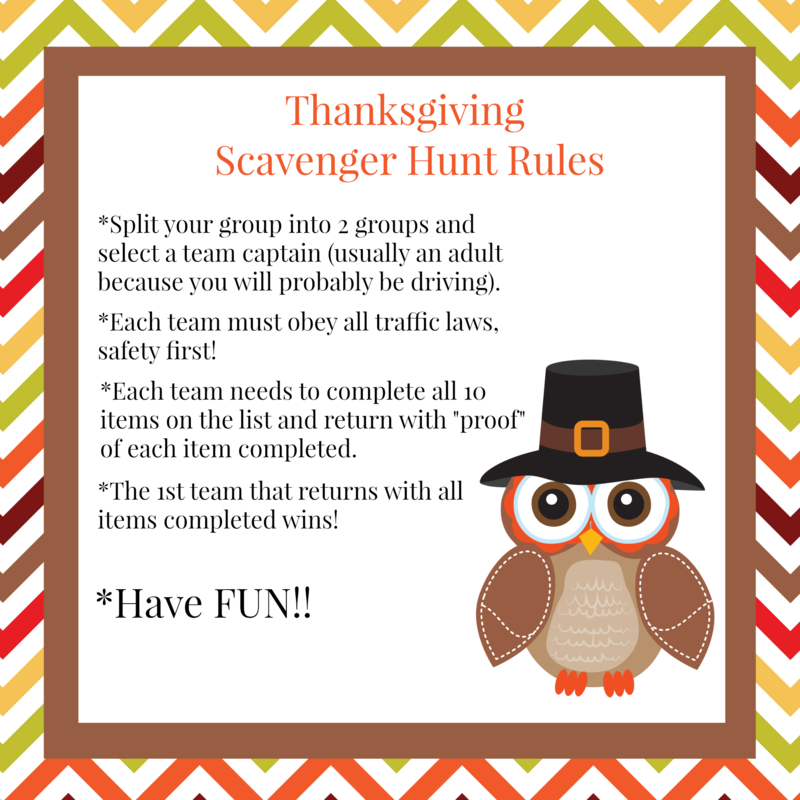 Here are the rules and the scavenger hunt…all you need to do is print them! Divide everyone into two teams and send them out on the town to find all of the items listed. 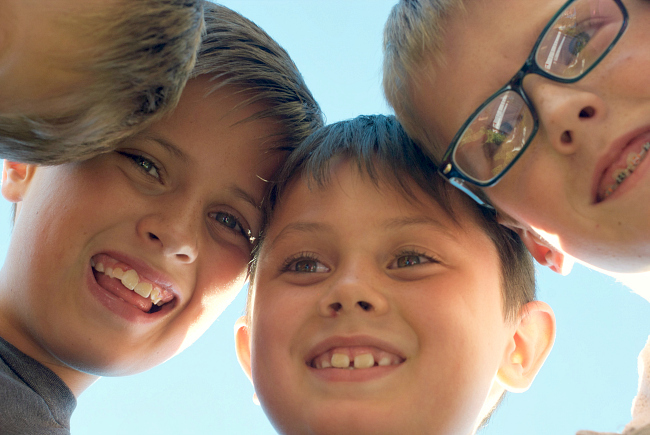 Have them take a picture of each activity and return home as fast as they can with their results. First team to accomplish everything on the list wins! Just click on these links and print these fun games are you are all set to play! 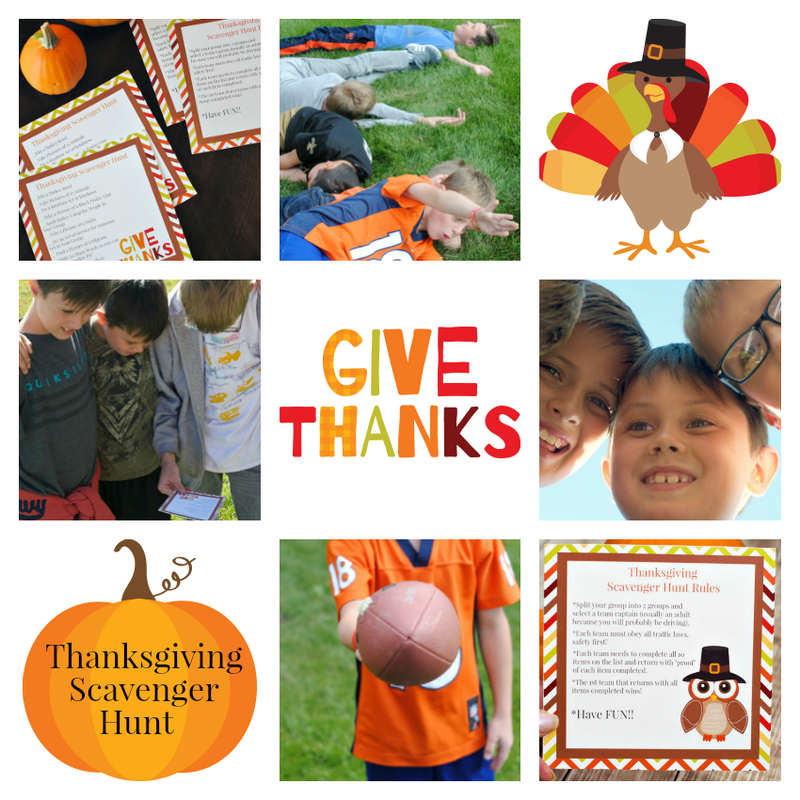 Have FUN playing Thanksgiving Family Games this year!